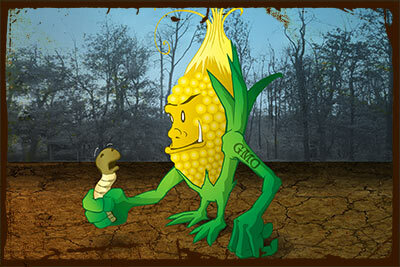 GMO Research: What has it produced? GMO Concerns: Is it safe or not? According to the USDA3 genetic engineering "has helped to make both insect pest control and weed management safer and easier". In addition, it "has been used to protect crops from devastating diseases." These are current applications of GMO usage. This actually doesn't sound too bad at all. Then there are further promises about the future of this technology. "Advances in biotechnology may provide consumers with foods that are nutritionally-enriched or longer-lasting... Crops with the ability to grow in salty soils or better withstand drought conditions are also in the works". These certainly sound like noble endeavors. You can review the entire list of all completed Biotechnology consultations on Genetically Engineered foods evaluated under FDA's 1992 Statement of Policy: Foods Derived from New Plant Varieties4. But let's just take a moment to look at the two biggest modifications which have been on the market for years. HT GENE (weed management): If you see a reference to HT corn, the "HT" means herbicide tolerant. ...Wait! Herbicides kill... plants. Why would you spray an agricultural crop with a chemical that kills plants!? Weed management. Just spray the whole field and kill everything. Well, kill everything except the crop that has been engineered to survive. So the widespread adoption of this particular modification doesn't do anything to improve yield5, food quality or nutritional value. These GMOs are called RoundupReady (glyphosate resistant) or Liberty Link (glufosinate resistant). They are designed to support a particular cultural practice. Farmers are spraying our corn, soybean, rapeseed, and cotton crops with plant poison. Bt GENE (insect pest control): In GMO crops, the addition of the Bt gene serves a very different function. This modification "has allowed for a significant reduction in the use of persistent, synthetic pesticides that may contaminate groundwater and the environment." That sounds pretty benign, right? Well, what exactly is this Bt gene? Bt stands for Bacillus thuringiensis, which a type of soil-dwelling bacterium. It creates crystal proteins which are toxic to caterpillars and other types of insects. Basically, when they consume it they get food poisoning and die. For the last century, Bt has been used in many sprays as a form of organic pest management. But now, with gene technology, we can completely bypass the whole application process. We have strains of corn, potatoes, cotton and peanuts which can produce their own Bt proteins. These transgenic plants have genes from bacteria that allow them to make their own pesticides. It is generated internally within the cell tissues. If the targeted insect eats the plant, it dies. On one hand, it's really a miraculous innovation. But some have questioned the safety of these products. What do these proteins do to humans when consumed? Thus far, there has been little or no scientific evidence proving the Bt gene to be harmful to mammals. Rather, the biggest issue with Bt GMOs is the development of resistance in insects. And this is a very real problem. In fact weeds are becoming resistant to glyphosate6, which threatens the effectiveness of HT GMOs as well.